Concepts repeat themselves; the names change but the concept stays the same. Variable substitution is a helpful method to understanding a concept. When you look at multiple examples of something with interchangeable parts, you can eventually see the parts that are not interchangeable. A variable is an inherently interchangeable part of a concept and therefore switching variables might give a clearer picture of a concept. The easiest way to explain this is with math. Think back to when you were in school and had to solve word problems. The problem would read something like this: “Rachel has six apples; if she gives four to Carlos, how many does she have left?” Names can be understood to be a placeholder for a person or thing while numbers can be used as a placeholder for a value. Using variable substitution, the problem reads, “So-and-so has this many such-and-such; if she gives this many to so-and-so, how many does she have left?” Variable substitution allows you to determine which parts of a concept are interchangeable and gives you a list of all the variables used. In this example, the names of Rachel, Carlos, and the apples aren’t relevant to the concept and can safely be ignored. You even have the choice to switch out the variables for different numbers if you want to practice the concept further. This concept translates far beyond the hypothetical realms of math. For example, many ecosystems around the world have similar niches to be filled by organisms. 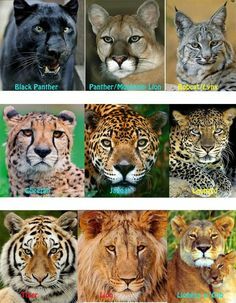 A large cat in one ecosystem might be called a “panther” while it’s ecological equivalent is called a “jaguar” elsewhere. Both cats play the same role in the ecosystem, but they are given different names because they have adapted according to their different environments. Businesses also have niches that need to be filled and although they may have different names, the duties are the same throughout many businesses. For example, a person in charge of answering phones and scheduling meetings might be called a “receptionist” in one company and a “secretary” in another but the niche is still the same. Stories can be viewed using variable substitution. Every story has a main character and most of those characters are pitted against a villain. There will usually be an event that serves as a threshold in adventure stories where the character cannot go back after crossing. They say “everything’s been done” and there’s a grain of truth to that. However, while the concept of stories may repeat, the specific variables remain unique. Many people who watch the Lion King can only think of Hamlet, but technically they are different stories with different characters. Human history can also be viewed through the lens of variable substitution. Many cultures accomplished similar feats but in very different ways. For example, the cultures of the Indus Valley and the American indigenous both discovered a way to implement agriculture into their society. The specific methods for growing food was unique to each culture, but both accomplished the same feat. The Manual will cover many concepts and, unfortunately, I can only give a few examples for each concept. Your job is to find more variables and test them to determine if the concept is true. Every example I give has the potential to be replaced by an unlimited amount of variables but the concept stays the same. Variable substitution allows you to ignore unneeded names and numbers, letting you focus on what really matters: the concept. Understanding how variables interact with each other allows you to easily understand future examples of the same concept. While it’s nice to see the differences between the interchangeable variables, seeing them as variables will simplify everything. Learn the concepts of your world and your world will start making a lot more sense.